Hamas, which has fought three wars against Israel since 2008, receives support from Iran. 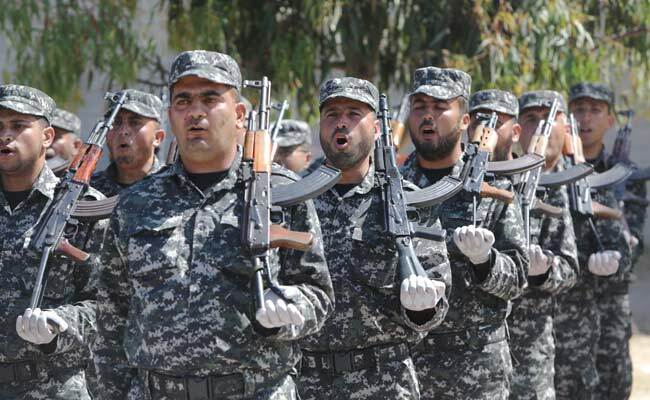 Gaza City: The US decision to put the head of Hamas on its terror blacklist on Wednesday will not deter the group's "resistance" to Israel, the movement said. "The American decision to include (Ismail) Haniya on the terrorist list is a failed attempt to pressure the resistance," said the group that runs the Gaza Strip. "This decision will not deter us from continuing the resistance option to expel the occupation," it said in a statement. The designation announced in Washington puts Haniya on the US Treasury sanctions blacklist, which freezes any US-based assets he may have and bans any US person or company from doing business with him. Nathan Sales, the US State Department coordinator for counter-terrorism, played up Iran's support at a conference for an Israeli think-tank in Tel Aviv on Wednesday. Iran "continues to support a rogues' gallery of terrorist organisations, including Hezbollah, Hamas, Palestinian Islamic Jihad and others", he said in a speech. "Iran gives (Lebanon's) Hezbollah about $700 million a year," Sales told the Institute for National Security Studies conference. "As for the Palestinian terrorist groups, it gives them potentially up to $100 million annually."